Here's a look at a video solution we produce for real estate companies in the retail sector. 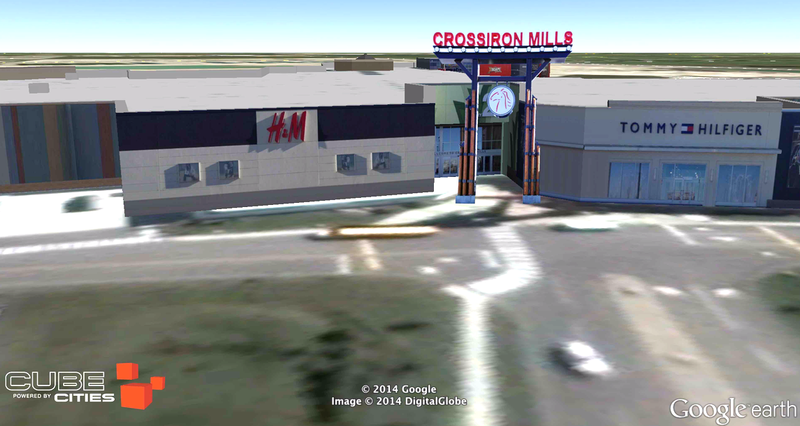 This example created for Ivanhoé Cambridge's CrossIron Mills shopping centre in Calgary demonstrates their need to communicate property information to prospective retail tenants who are not familiar with the location. With short videos like these we can quickly describe the area demographics, local economic development activity, travel times and infrastructure capacities to retailers considering tenancy in the property. These videos are created with Google Earth Pro and use customized data visualization elements from Cube Cities.